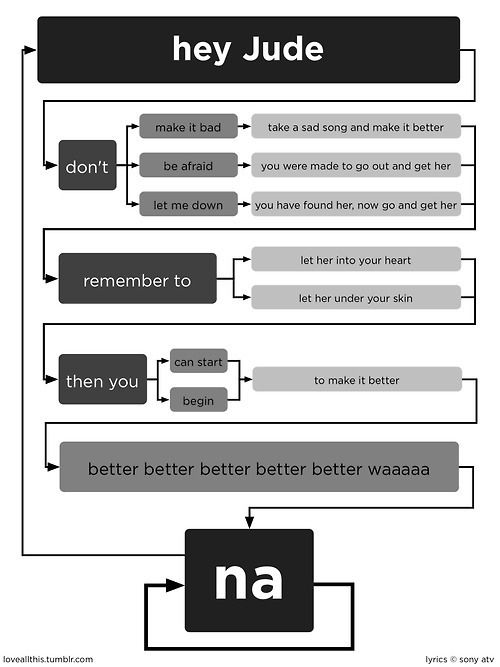 If only the words of songs were better tied to what was going on in the film clips. I’m sure you’ve often thought that too… well there are plenty of these on YouTube to satisfy your literal desires. 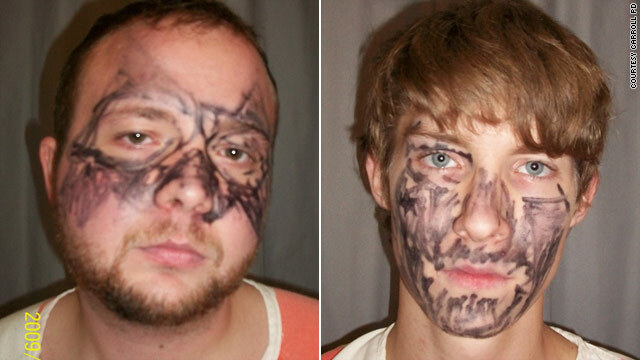 Coming soon to a Fail Blog near you… two guys thought this disguise would help them get away with robbery. “Police received a call Friday night that two men with hooded sweatshirts and painted faces had tried to break into a man’s home in Carroll, Iowa. An atheist scientist takes up the case from Eagleton, criticising Dawkins for his approach to the discussion with Christians. The trouble with Richard Dawkins from CPX on Vimeo. According to wikipedia, it’s probable that two in three of you are just like me. I’m not sure that pleases many of you. I’m talking about those who are susceptible to kinetosis. Otherwise known as motion sickness. This wiki article claims that 66% of people are susceptible to motion sickness in severe conditions. Only 33% are susceptible in mild conditions. I’m not entirely sure which category I fit into, but I’d say it’s likely to be the first. I get air sick, sea sick, simulation sick, car and bus sick and I don’t really know about space sick. I’ve never been there but chances are I’d feel ill.
Every Friday afternoon I take my two softball teams to play interschool sport. This involves a ten minute bus ride each way. Usually I try and sit by myself so I can look out of the bus but today one of my shy, newish boys asked if I could sit with him. Not wanting to be rude, I accepted his offer and he proceeded to talk the entire way, preventing me from watching out the front of the bus continuously. I began to feel exceptionally ill and, since asking him to stop talking would only be a little less offensive than throwing up on him, I let him continue. It’s very difficult to seem interested and engaged in a conversation with a small child whilst wanting to throw up. Once we got back to school the nausea did not subside. Again, it’s almost impossible to teach 29 hyperactive children while wanting to throw up. Furthermore I have the unfortunate tendency to not ask for help when needed so I soldiered* on. I’m sick of getting motion sickness. Are there any remedies out there that actually work? I tried sea sickness tablets once but I was so drowsy that I slept through the entire cruise. When I awoke, I was too drowsy to talk without sounding drunk. The tablets would have made me unfit to drive had I been required to do so. My only other remedy so far has been to go to sleep. There’s a catch with this one but I’m afraid telling you would be oversharing. And we know how Nathan feels about that. Unfortunately this remedy doesn’t really work if you’re suppose to be the one in charge. *I actually told my kids I had some “very important” work to do on the computer and would let them play some quite games so long as they didn’t disturb me. Technically supervision rather than teaching but that’s all I could manage. BoingBoing has a series of tips from a Japanese pro photographer who takes amazing iPhone pictures in his spare time. This is a new experience for me… I’m still young enough to consider the prospect of playing cricket for Australia (and only cricket because you can be a late bloomer), but I’m now old enough that murderers whose high profile cases that I remember can be released having served their prison sentences. The guy who killed Dr Victor Chang is being released on parole. I remember driving past the police tape in Sydney the day he was killed. I’m not a big fruit eater. There are many days where my recommended daily healthy food intake is all vegetable no fruit. There are many days where it’s neither. When I do eat fruit I go on fruit binges. A month or so ago it was bananas. I ate about six in one day. I didn’t feel very well. This week it’s watermelon. We had just watermelon for dinner one night. And I’ve had watermelon (and only watermelon) for lunch four days this week. I’m worried I’ll end up looking like this previously featured watermelon head. Are there serious health concerns that come from eating too much watermelon? Comic book mashups are fun. These, by Ryan Dunlavey, are great… and there are more at that link. This post was dumb. I’ve decided to delete it all and replace it with two lists. Use the particular function as a dipping stick to assess the rest of your friendships and relationships. Assume that you should have been invited to begin with. Assume that everyone else has the same approach to things that you do. If they’re your friend you should be happy for them even if you’re not going to be at their event, if they’re not then why do you care? Invite them to your next thing. Invest more time and effort into the relationships you value. Don’t act like a jackass. Everything Iʼve said to this point you might describe as the negative reasons for my not being an atheist — things which others ﬁnd persuasive about atheism which I donʼt ﬁnd persuasive. But the strongest reason I refrain from choosing atheism is because of Jesus. I suppose itʼs natural for someone like myself to be categorised as a ʻtheistʼ, but I feel no particular attachment to theism per se. I am a Christian — if I am a theist, it is not because I have highly developed arguments for theism which have led me there. It is because I am convinced — rightly or wrongly — that God took on human form in the man Jesus Christ, and that he did so in order to save humanity from his own judgement. But again atheism is quick to expose my convictions as a delusion. much scholarship indicating itʼs a myth generated over time? Well, the thing about this scholarship Dawkinsʼ talks about is that it doesnʼt actually exist. I donʼt mean that there are NO scholars that propose the kind of things Dawkinsʼ says, but that the claim that ʻreputable biblical scholars in generalʼ say this kind of thing is just not defensible. There are SOME scholars who make those kind of claims, and often do so not in journals but in publishing direct to the public. But reading a little more widely than just Richard Dawkins, and Barbara Thiering, you discover that within scholarship itself there is large ʻmiddle groundʼ which just gets on and analyses the NT documents in just the same way you would analyse any other document from history — neither to debunk nor to defend Christianity, but to see what they say historically. Sweeping claims that that scholarship slants towards a mythological reading of those gospels is just absurd. It shows that Dawkins is not acquainted with serious historical scholarship, or chooses not to write about. Imagine someone holding forth on biology whose only knowledge of the subject is the Book of British Birds, and you have a rough idea of what it feels like to read Richard Dawkins on theology. Card-carrying rationalists like Dawkins, who is the nearest thing to a professional atheist we have had since Bertrand Russell, are in one sense the least well-equipped to understand what they castigate, since they donʼt believe there is anything there to be understood, or at least anything worth understanding. This is why they invariably come up with vulgar caricatures of religious faith that would make a ﬁrst-year theology student wince. The more they detest religion, the more ill-informed their criticisms of it tend to be. If they were asked to pass judgment on phenomenology or the geopolitics of South Asia, they would no doubt bone up on the question as assiduously as they could. When it comes to theology, however, any shoddy old travesty will pass muster. These days, theology is the queen of the sciences in a rather less august sense of the word than in its medieval heyday. – Terry Eagleton, “Lunging, Flailing, Mispunching”, London Review of Books, October 19, 2006. In talking about Jesus, I need to address that historical question, because you may be expecting me to defend my convictions about the historical Jesus. But I would suggest the shoe is on the other foot — if you are convinced of the mythology of the gospels, and heir mutilation over time … where have those convictions come from? Why are you so sure of them? Is it because you understand the history, or because you have taken on faith the claims of certain scholars and writers? I know you can run off to the web, or pull out the God Delusion and ﬁnd someone who agrees with you — but Christians can do that too. Finding someone to agree with you can help, but it doesnʼt make it right. For me, there is good reason to understand the documents of the New Testament as providing a historically reliable connection with Jesus Christ. The documents were written by eyewitness, or were the words of the eyewitnesses written down within the lifetime of those who had lived with Jesus. There were many other gospels, but these were second century documents that synthesised the original Jesus with 2nd century gnosticism — which was the reason for their rejection. The transmission of the documents was not without error, but there are so many copies of the NT from different periods and different regions that the copying errors are pretty easy to identify, and very few of them are of any real signiﬁcance. Now they are just claims, and there is historical data behind those claims — I did a whole talk on it at CU last semester called “True Words?”— you can listen to it on CUʼs website if you want. So when I say that Jesus is the deﬁnitive reason that Iʼm not an atheist, I hope you donʼt think to yourself, Well heʼs just deluded, and has an imaginary friend called Jesus, or that Iʼm worshipping some later myth about Jesus. When I say Jesus, I mean the real historical Jesus who I think it is plausible to believe was a man who claimed to be both the son of God and the saviour of the world. But itʼs not Jesusʼ historicity — itʼs Jesus himself who is the main reason why I interpret atheism’s claims negatively. I donʼt worship Jesus because Iʼve got good arguments about him — I worship him because he is supremely worthy of worship. He is the creator who has written himself into his creation. I hope you will forgive me if I speak about him! He claimed to be without sin; he claimed to be God, and did things that only God could do; he claimed to be the only path to reconciliation with God. It was because of those claims that Jesus was treated without compassion. He wasnʼt cruciﬁed for telling people to love each other — but for claiming to be the king! He was lied about, arrested, endured a mock trial, beaten, whipped, nailed to a cross and a crowd mocked him and spat on him. In the face of that rejection, on the cross, his concern was for the forgiveness of his enemies. In his death, he paid a penalty, enduring our death for us – that we could be forgiven. The creator died for us in order to reconcile us to himself. alternative explanations for the world that donʼt include God. So I have a choice — I can listen to what the atheist says about Jesus (a mythological ﬁgure, misunderstood by Christians), or listen to what Jesus says about the atheist (humans loved by God but in rebellion against him creating philosophies with which to remove Godʼs inﬂuence). Each has an explanatory power about the other — itʼs not an easy decision. I am not an atheist, because I have listened to Jesus and for my part, I am persuaded he speaks truth. These are the best shirts ever. I’m serious. It’s cooler than having a Lego base plate stitched into your shirt. You play the guitar shirt using a magnetic pick – and actual guitar sounds come out. Buy it here. Now. You play the drum shirt with your fingers. Buy it here. Now. Start a band. The Electronic Guitar Shirt is incredibly easy to play because each button on the neck is a major chord. She went on to mention how you can play dozens of classic rock songs with very little skill. I think the way we, as people, choose to define ourselves is telling. So I often look at people’s profiles online with interest. I, for example, put “A Christian” as first on the list. I am many more things, but I primarily self identify as a Christian, not a husband, son, brother, or blogger. Atheists, upon occasion, have expressed their displeasure that Christians want them to define themselves by their non belief – and yet in the blogosphere they proudly identify that way with a big red A. Some gay people I’ve spoken to prefer not to be identified by their sexual preferences, while others join together to form lobby groups. I think Christians should, when defining their beliefs and identities, start off talking about Jesus. 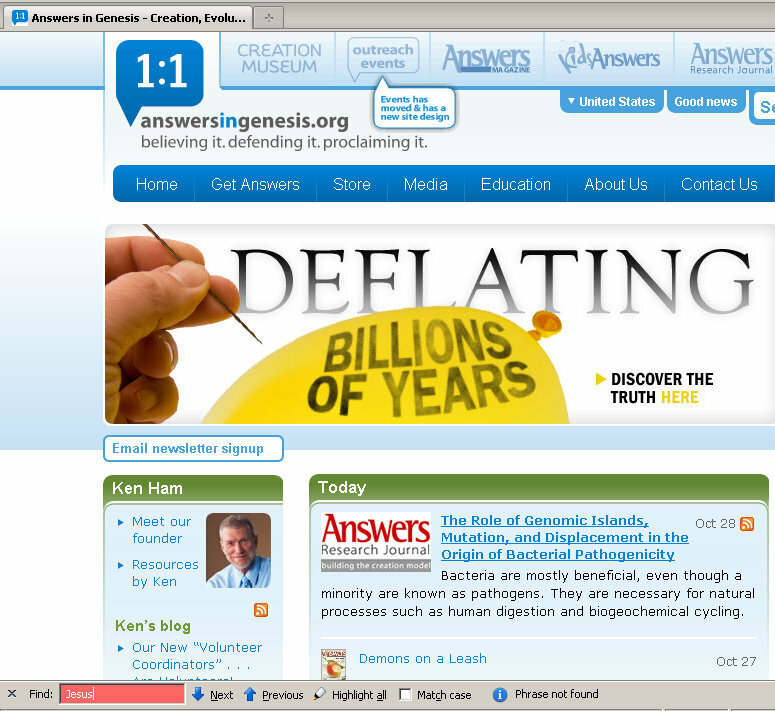 And this, more than anything else, is the problem I have with “Answers in Genesis”. They should be called “Answers in Jesus”, or “Answers from Jesus”… and they’re not. Some people might think that a veto, in itself, is an act of political aggression rather than passive aggression. But when you embed a rude, coded, message in your letter to the legislative body you are turning down, it’s classic passive aggression. It’s so rude I won’t post the picture. But if you’re not offended by the F-bomb – and want to see why the Governator is awesome (other than the fact he keeps his Conan sword in his office)… check it out.